Cholesterol plays a vital role in how every cell wall works throughout the body. However, too much cholesterol in the blood can lead to a build up of fatty material (atheroma) within the coronary arteries which is an increased risk for developing coronary heart disease. If you reduce the total amount of fat you eat, it will reduce the amount of fats in your blood available to be converted into cholesterol. Fat is also very high in calories so cutting down will help you manage your weight. Replace some saturated fats with monounsaturated and polyunsaturated fats to improve your ratio of ‘protective' HDL cholesterol to ‘harmful' LDL cholesterol. Physical activity increases the level of your protective HDL cholesterol. Aim for 30 minutes a day at least 5 times a week, you can break it down into 2 x 15 mins or 3 x 10 mins to get you started. Cigarette smoke may damage the lining of the coronary arteries. Damage to the lining encourages the build-up of fatty material within the artery walls. Small amounts of alcohol can help raise protective HDL cholesterol, although this can also be achieved with physical activity. Stick within 2-3 units per day and remember that alcohol contains calories but little else of nutritional value. 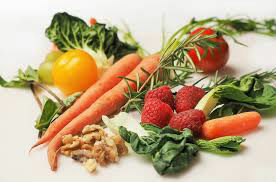 Fruit and vegetables contain antioxidants which help to prevent oxidation, the chemical process which allows cholesterol to form atheroma within the coronary artery walls. Snack on fruit daily to ensure you get your 5 a day. Make sure you have a healthy weight for your height. If you are overweight, losing weight can lower your cholesterol level and your overall risk for coronary heart disease. Omega 3 fatty acids can help lower triglyceride levels (another type of fat in the blood) and can be found in oily fish as well as plants such as rapeseed, walnut or soya oil, dark green leafy vegetables, walnuts, pecans, peanuts and almonds, soya beans, tofu and seeds. Eating at least 25g of soya protein daily as part of a balanced low fat diet can help reduce blood cholesterol. Soya protein includes soya beans, tofu, soya milk, soya mince and textured soya protein.